“I was excited because I was finally able to do something on my bucket list because the dare devil in me was like ‘FINALLY!, I did something I wanted to do before my injury. '” From Springfield, Virginia, Joanna signed up for our event when she saw our online flier. “At DPI, I was able to get my confidence back little by little. I am now stronger than I’ve ever been. 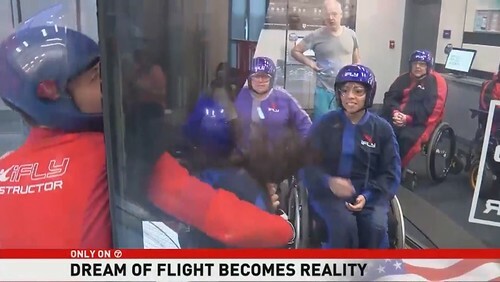 I was able to do IFLY and every other adaptive activity because of DPI. 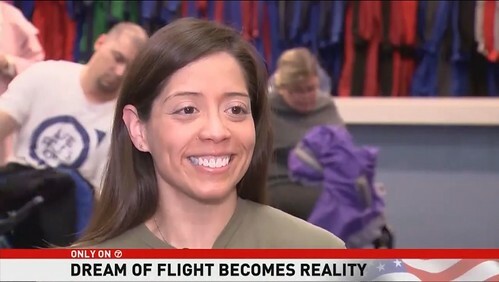 She also tried rock climbing and adaptive skiing in Colorado since becoming injured, but this Joanna is in love with how easy it was to get in some indoor skydiving in her own hometown. 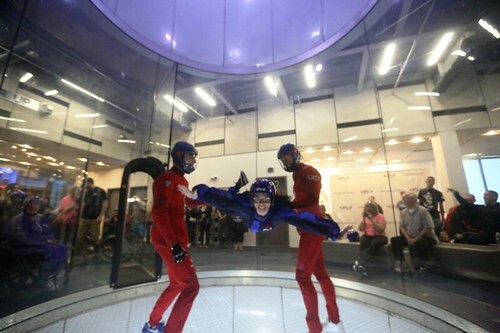 This entry was posted in Feature stories, News & Updates and tagged adaptive indoor skydiving, determined2heal, iFLY all-abilities night, ifly loudoun, joanna bonilla, spinal cord injury skydiving, SPINALpedia on July 16, 2018 by Tiffiny.